are taking place for me right now. in the last few days i have made a snow angel for the first time, i have actually witnessed snow falling and kissing my cheeks, and not as kind -4 degree weather biting my lips….all these….firsts. it is all beautiful. ive witnessed such a beautiful family love one another the way i would like my ideal family to be. a lot of love. no animosity, no judgment, pure open respect and gratitude for the other. and in the midst of all the holiday merriment, my senses are experiencing a lot of firsts that i feel more whole for it. i feel all over the place. i feel my life is not my own. i feel as if im in a hazy dream that seems a bit familiar but with a cloudy silk screen obstructing a clear view. ive lived in LA a while now. and i am quite introverted so it has taken me probably a bit longer than everyone one else to create my support system or lifeline. as of late, i have lost a few of those lifelines. you know how life goes…it has its funny way of pushing you in different directions all to wait and see the reason for your parting dances. i wished one of my dearest friends off sunday night and again monday morning. we (the 3 of us who held down the local bar of regulars for 6 growth-filled years) met at our neighborhood coffee spot mixing tears with coffee and poignant moments of nostalgia. we were all babies when we met, and as sunah said, “mostly emily…” sunah and i were already unfortunately walking a little wounded when we met. emily on the other hand, was blue-eyed bright and the sweetest person God ever constructed. but we were all a little greener, more innocent, and we were meant to help each other. we were meant to love each other. we were destined to see each other through heartache, complete and utter devastation, answer questions honestly and not so honestly, and praise the other when little victories were won. these girls know more about me and how to deal with me more than just about anyone else. there are a few others…but they know how to make me feel my truth, and call me on it when its less than satisfactory, and pull me up when my world had all but fallen apart. ive got a very small family here in LA, and these girls are in that handful. one is here, 3 streets away as the other is hopefully resting her head in between arizona and colorado…her heart is in my heart. she remains close. because when you have loved there is a seal that can never be severed-no matter distance, circumstance, or perspective. we are all one. our souls connect and remain always bonded. i am a little girl who suffers from the fear of being abandoned and left all alone, but its bittersweet to see her drive away with tears because i know she is off to do what she needs to do, and i am so ever proud. i actually have no regrets in my life thus far. but i did have a thought today as i was handed the check for my baby delilah. 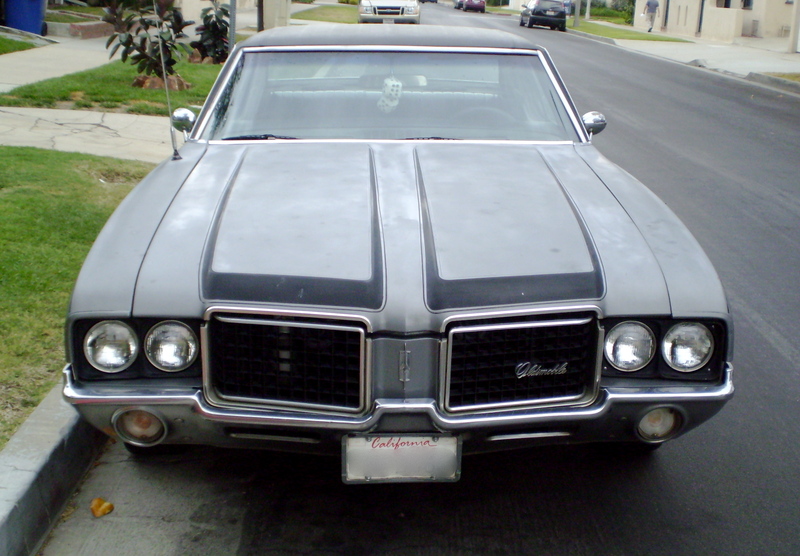 if you dont know, delilah is my 72 cutlass surpeme. ive had her for about 3 1/2 years. i drove her everyday. she got moody and would break down. she would get moody and break down if i neglected her with say, an oil change or low transmission fluid. but for the most part, i would feel such a love when she started every morning for me. everyday. its an inexplicable love and appreciation. and then of course, i think, how do these thoughts translate into my daily personal life? how do we treat the people in our lives in the time we have them with us? do we neglect our family? take our loved ones for granted? should we have picked up the phone more often when mama called? all these thoughts came flooding in as i was thinking about the parallel thoughts with my car in reference to car things. so i just want to give a few words of thought. these were my thoughts today as i let go of a huge piece of me. a part of my identity. did i enjoy her fully? did i get all i wanted out of having her? you know what im saying…just think about it a little bit? if one of your most prized “entities” were to exit your life today how would you feel about your time spent with?? ?